Ash Wednesday is the first day of Lent in Western Christianity. It’s observed 46 days (40 weekdays and six Sundays) before Easter by Catholics, Methodists, Lutherans, Anglicans, Presbyterians, and some Baptists. Lent is a period of fasting, abstinence and penitence before Easter. Ash Wednesday marks the beginning of the Lenten season. Devout Christians view it as a holy day of prayer, fasting, and repentance. Even those who don’t fast during Lent generally try to abstain from meat on two holy days during the season of abstinence, Ash Wednesday and Good Friday (the Friday before Easter). Since the date of Ash Wednesday depends on the date of Easter, it’s a movable feast. It can occur between February 4 and March 10. Ash Wednesday has never occurred on February 29 in a leap year; the closest leap year that will have Ash Wednesday on February 29 is 2096. Interestingly, Eastern Orthodox Christians do not observe Ash Wednesday. In the Eastern Orthodox Church, Great Lent begins on the so-called Clean Monday, falling on the 7th Monday before Easter in the Julian calendar. The name “Ash Wednesday” derives from a traditional practice where blessed ashes are placed on the foreheads of the congregation at a special church service. In ancient times, ashes were used to express grief or sorrow for one’s sins and faults. Examples of the practice among Jews can be found in the Old Testament. 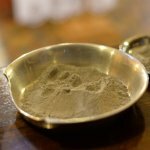 Christians continued the practice and began to use ashes as a sign of repentance. The ceremony held on Ash Wednesday is meant to symbolize that we have come from dust and one day will return to dust, as said in the Book of Genesis. The ashes are sometimes prepared from palm leaves that were blessed on the previous year’s Palm Sunday. The ashes are either sprinkled over people’s heads or used to mark a visible cross on their foreheads, depending on the congregation. Since there is no fixed rule, the manner of marking the forehead with ashes depends largely on local custom. Since 2007, some priests of various denominations have participated in the Ashes to Go program. On Ash Wednesday, they would go outside of their churches and distribute ashes to passers-by in public places. The main goal of the movement is to engage those who have fallen away from faith or have never been to church in the first place. In some countries that celebrate Carnival, Ash Wednesday is marked with a solemn ceremony that involves destroying a symbol representing the pre-Lenten festivities. The ceremony generally consists of a parade that parodies a funeral procession, and the burning of an effigy. Depending on the symbol of Carnival, the ceremony may be known as the Burial of the Sardine, the Burial of King Momo, or by other names. In Ireland, Ash Wednesday coincides with National No Smoking Day. The coincidence is deliberate, as quitting smoking is one of the aspects of giving up luxury during Lent. In the UK, No Smoking Day used to be held on Ash Wednesday too, but it is currently observed on the second Wednesday in March.